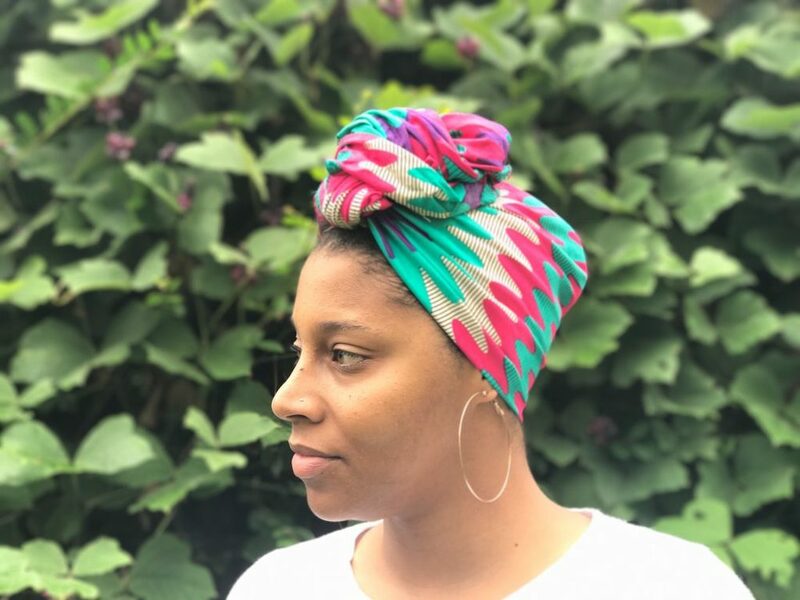 In my 20’s I had beautiful skin! I remember being on the go and people would stop and ask me about my skin regiment and what I did for it. The shock on their faces when I told them my skincare routine was extremely low maintenance and consisted of mostly just water! Now that I’m in my 30’s, my skin isn’t so kind to me anymore. I noticed last year that I suffer from hyper pigmentation and dark spots, as many women of color like myself do. 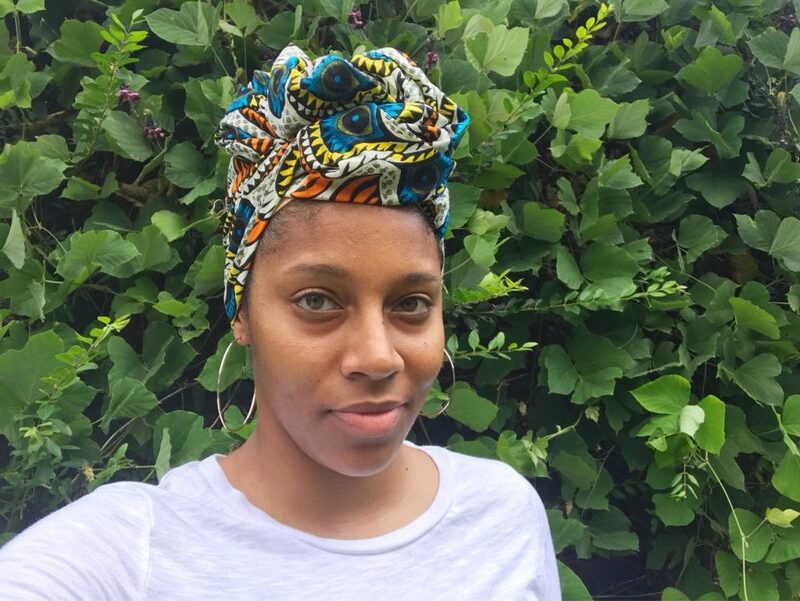 Hyper pigmentation and uneven skin tone has forced me to cover my skin daily with makeup. I want my skin to look even, fresh, and have a natural glow! Of course a beautiful highlighter can make my cheeks pop, but I want that glowing look without foundation. For the last 28 days I’ve taken the Olay Luminous 28-Day Challenge! 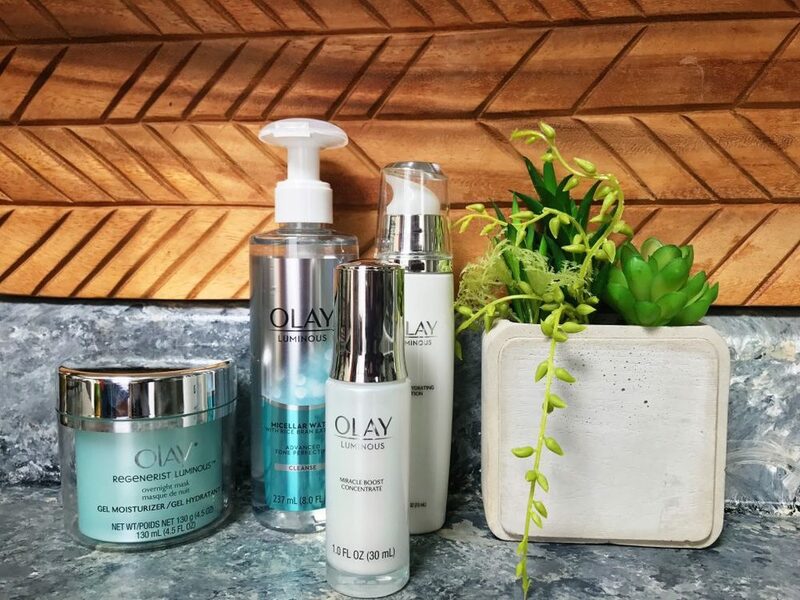 I’ve adopted a new simple four step facial routine with the Oil of Olay Luminous line to promote healthy skin for a Fresh Face look and natural glow. I want to be able to head out of the house without foundation, a little bit of lip gloss and still feel like I’m winning! The Olay Luminous line encourages healthy, radiant-looking skin. Here is a look at my skin at the beginning of the 28-Day Challenge. There is no filter here! I’m baring it all for the internet and I wanted everyone to be able to clearly see my results. You can see my dark spots from old acne scars, and hyper pigmentation plus I have a few mom bags under my eyes because mom life makes me tired! 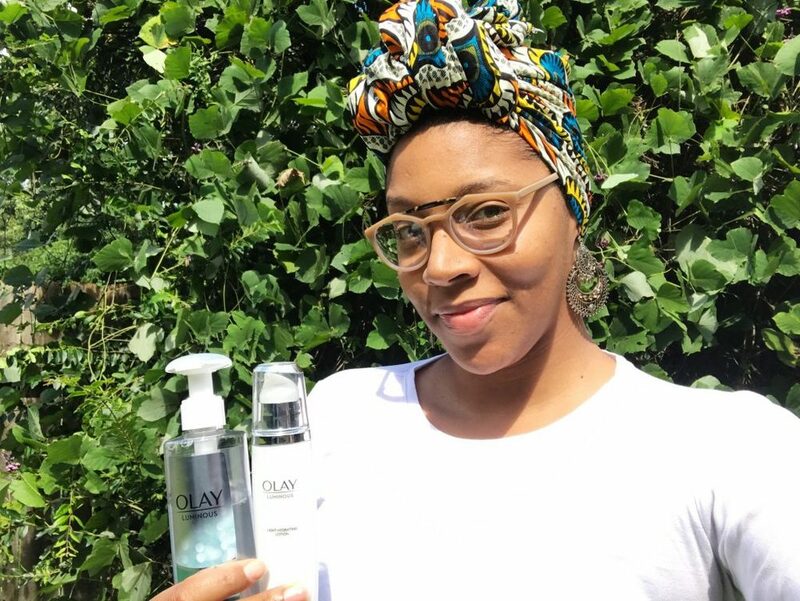 Step 1: First I cleansed my skin morning and night with the Olay Luminous Micellar Water. The Micellar Water is a facial cleanser that removes makeup and dirt in one step. It isn’t harsh and it doesn’t dry out your skin. It’s filled with natural ingredients like rice bran and aloe extract, so you know that you are being kind and gentle to your face. The Olay Luminous Micellar Water is easy to use, and it leaves your skin feeling hydrated, smooth, and refreshed. It’s no need to rinse after using! 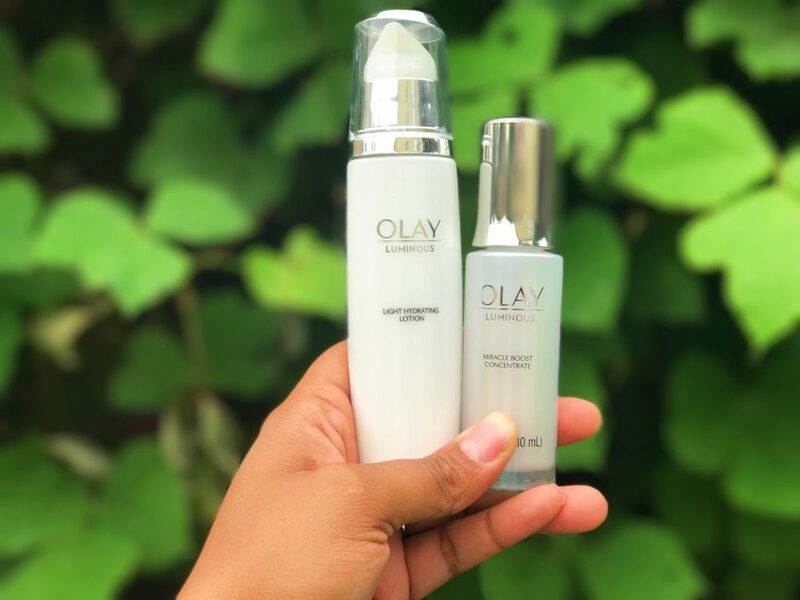 Step 2: Next I use the Olay Luminous Miracle Boost Concentrate, both morning and night after cleaning my skin with the Olay Luminous Micellar Water. The Olay Luminous Miracle Boost Concentrate is awesomeness in a bottle! It has tone perfecting ingredients and fades the look of those annoying dark spots and uneven skin tone. It delivers 50 percent more tone active ingredients. It’s lightweight, and uses Pearl-Optics Science to enhance skin’s absorbency with hydration. Step 3: Then I apply the Olay Luminous Light Hydrating Lotion. 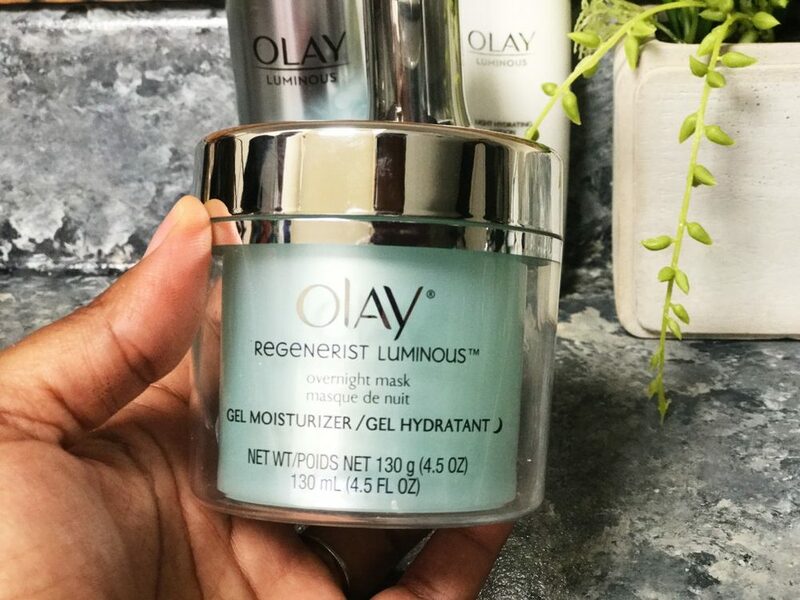 The Olay Luminous Light Hydrating Lotion is a lightweight facial moisturizer that hydrates from the inside for luminous glowing skin in two weeks. It actually penetrates 10 layers deep into your skin’s surface to even your skin tone and reduce the look of dark spots. It leaves your skin feeling refreshed and hydrated. Step 4: Lastly, at night before bed I apply the Olay Regenerist Luminous Overnight Mask. This overnight mask hydrates your skin overnight and leaves it radiant in the morning. You apply the mask to clean skin and allow it to absorb. It contains Vitamin B3 and B5 that strengthens the skin, protects the skins moisture barrier, and it helps reverse the appearance of past skin damage. Here is a look at my skin two weeks after beginning the Olay 28-Day Challenge! Here are my final results after taking the Olay 28-Day Challenge with Olay Luminous! I absolutely love the way my skin looks and feels! In just 28 days I’ve achieved the Fresh Face Glow that I was going after!! 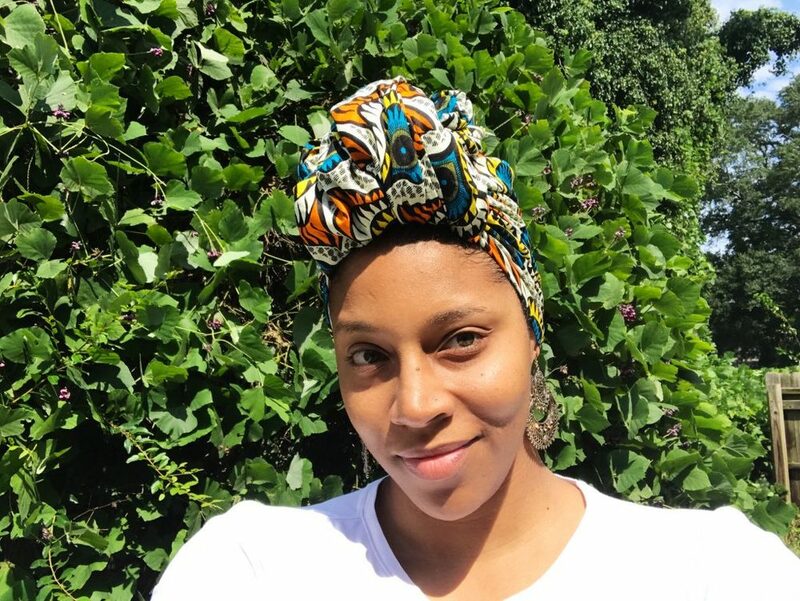 I want all of you ladies to achieve this Fresh Face Glow too! For a limited time, head over to Olay.com for $2 off orders of $25+, and 10% off orders $50+ and free shipping on all! 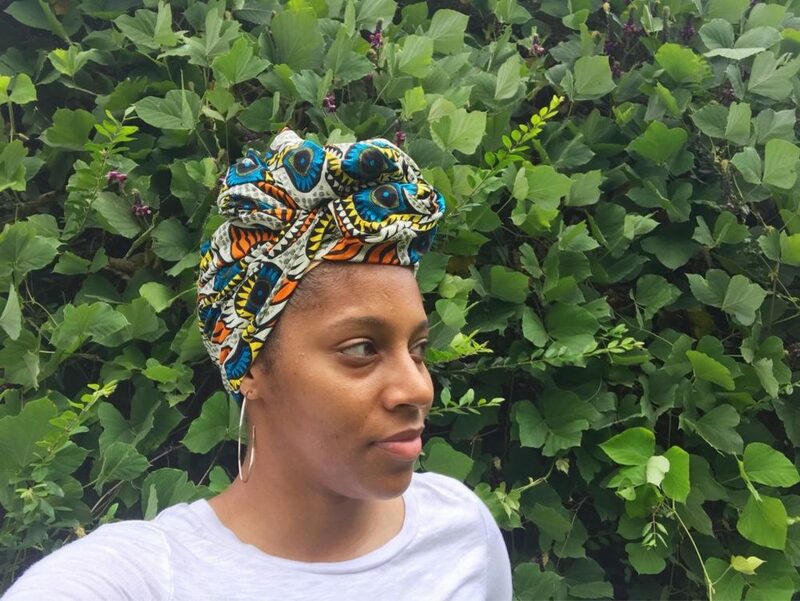 What are your Fresh Face goals?